This cake started out innocently enough with three brownie layers and a jar of Biscoff spread, but something happened along the way; namely the discovery of an unopened jar of Nutella in the back of the pantry. At first I felt like using these two European spreads in the same cake would be crazy (like the Ghostbusters crossing streams? Mass hysteria? Dogs and cats living together?!) but ultimately, curiosity got the best of me. I tasted both spreads together on a graham cracker and decided the combo was a good idea. I do my best to make sure my taste buds and brain are intellectually connected when I test recipes. I mean, just because you can put two flavors together doesn't always mean they will harmonize, and I worried about this rich-on-rich pairing. After a good ponder and many taste-tests I decided the Nutella filling was a touch too dominant and needed to be tempered with something. But what? After staring blankly into the open refrigerator - for who knows how long - unbelievably, the answer appeared. Peeking out just behind the orange juice was a stash of malted milk powder. 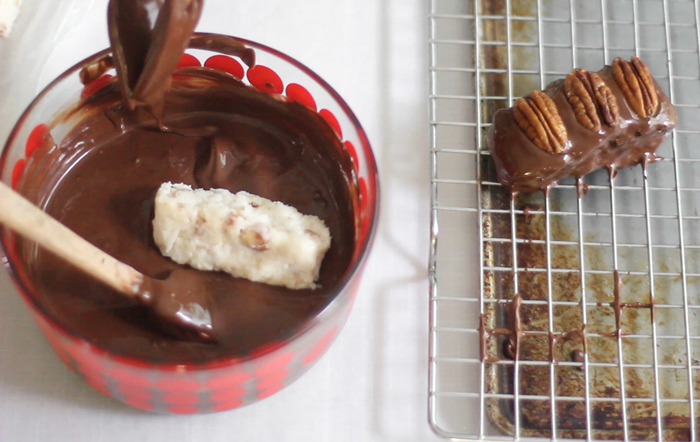 It was just the thing to round out the richness of the chocolate hazelnut spread. Don't get me wrong, the finished cake is rich indeed, but with a covering of salted Biscoff frosting, it is balanced in spite of itself. Speaking of salted desserts! My new book Sea Salt Sweet has a newly added "Look Inside" preview on Amazon, so you can have a peek right now! There's a healthy preview of the front matter, and a couple of recipe previews, too. I almost wish there were more recipe previews because that's the true heart and soul of the book, but if you'd like to have a more complete idea of what's inside, the index is also viewable. Today I'm sharing one of my mom's recipes. I'm not kidding when I tell you that whatever I make seems to pale in comparison to whatever she's got going on in the kitchen. But isn't that a cosmic rule? Mom's cooking always tastes best? I asked her if I could share this recipe (already knowing the answer) because it is so fresh tasting and easy. The word 'perfect' is so overused in food writing (guilty!) but a slice of this when summer days are sweltering - yes, perfect. Most of the time I try to avoid making candy in the summertime, but this recipe has completely changed my mind. There's no standing over a bubbling pot of sugar and no candy thermometer involved. In fact, the only cooking required can be done in the microwave. Below you'll find a short video of the candy-making process to give you an idea of the work involved. It's pretty simple and straight-forward. I was thisclose to adding some caramel bits to the coconut candy, but I decided to keep the recipe basic. But wouldn't that be awesome? I imagine it would be like a cross between a caramel-pecan turtle and a Mounds chocolate bar... mmmmm! Honestly, I can't wait to make these at Christmastime. I know. Who thinks about Christmas in July? Confession: me to the 900th power. 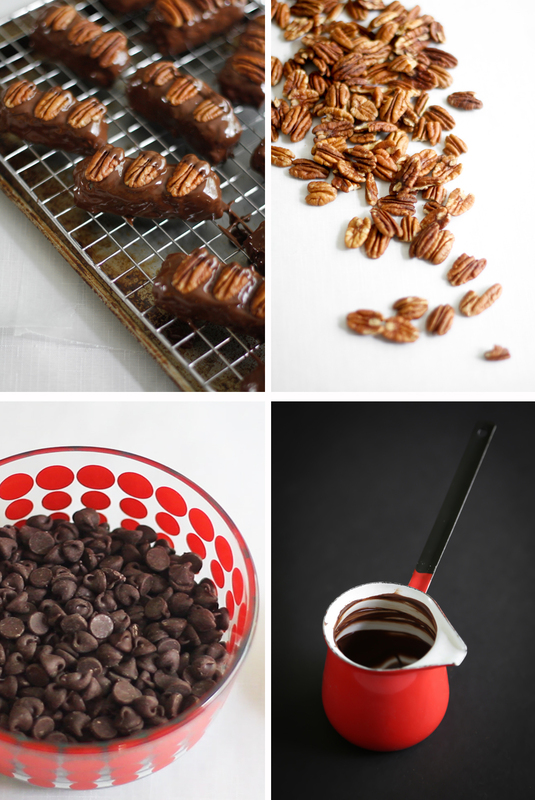 There is never a time when I'm not thinking about holiday baking and confectionery. I live for it. See? Simple ingredients, uncomplicated instructions. You can do this! Store these in the refrigerator in an air-tight container and they'll keep for 7 to 10 days. I like to eat them cold sometimes, but the flavors are more developed if you let the candy bars come to room temperature before eating them. Combine the coconut and confectioners’ sugar in a large bowl. Stir well with a rubber spatula. If you see clumps of coconut sticking together as you stir, break them apart with your fingers or will the edge of a spatula. Stir in the 3 ounces pecan pieces until evenly dispersed. Add the sweetened condensed milk and stir with a sturdy spatula or wooden spoon. The mixture will be very thick. Use your hands to incorporate all the ingredients when it gets too difficult to stir together using a utensil. When all the ingredients are thoroughly mixed, gather the candy in to a ball and place it on a sheet of parchment. Divide the ball in two pieces. Working with one piece at a time, shape the dough by rolling it under your palms and squeezing it into a 13-inch long tube/log shape. Roll each log in a piece of waxed paper and twist the ends; freeze until firm, about 40 minutes. Work with one piece of frozen dough at a time. Unroll it from the waxed paper and flatten it gently. Cut each piece into 1x3-inch pieces using a bench scraper or pizza cutter. Arrange the pieces on large baking sheet covered in waxed paper. Repeat the cutting/arranging process with remaining candy log. Place 12 ounces of chocolate chips in a large microwave safe bowl. Add 2 tablespoons vegetable shortening. Heat in the microwave at 100% power at 30 second increments until the candy and shortening can be stirred smooth. Let cool slightly. Dip cut pieces of candy, one at a time, into the chocolate using two forks to turn the candy. Place the dipped candy back onto the waxed paper. 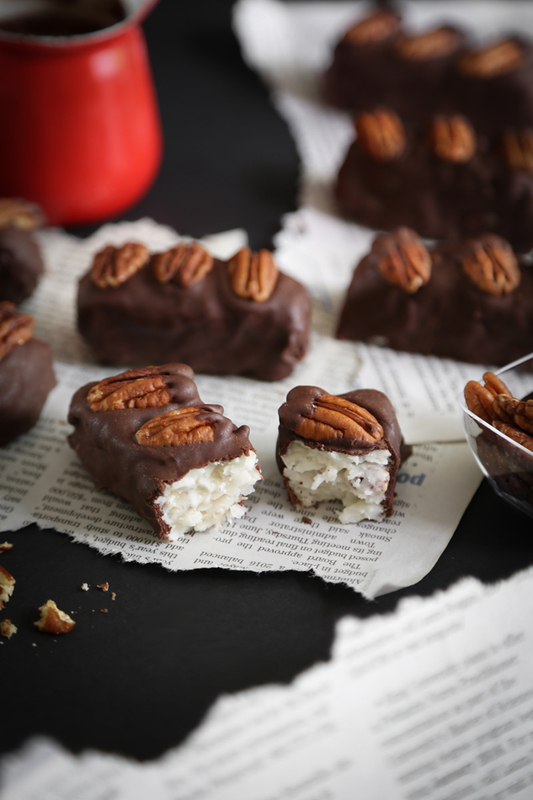 While the chocolate is unset, add 3 pecan halves on top. 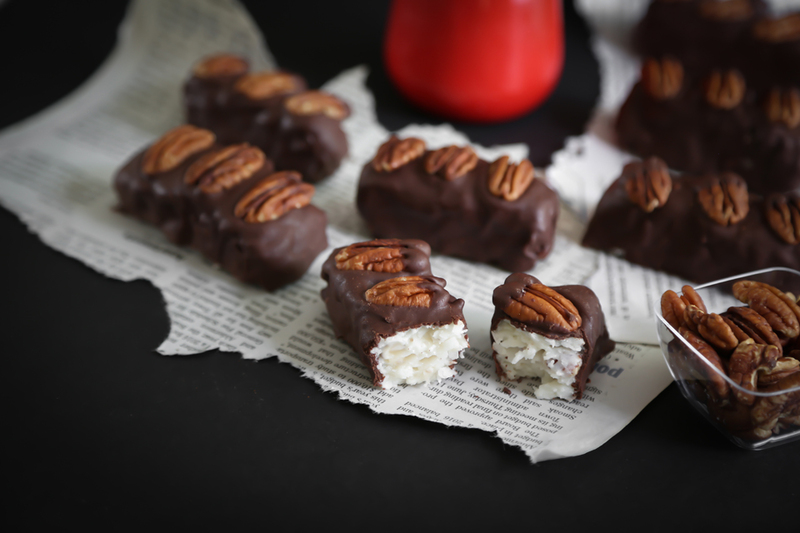 Repeat until 13 candy bars are dipped and decorated with the pecan halves. Let the candy bars set, about 3 hours, or speed setting time by refrigerating them. Repeat the process with the second 12 ounces and 2 tablespoons of shortening, and the remaining 13 pieces of coconut candy. Store the candy bars in an airtight container in the refrigerator. Bring to room temperature before serving. 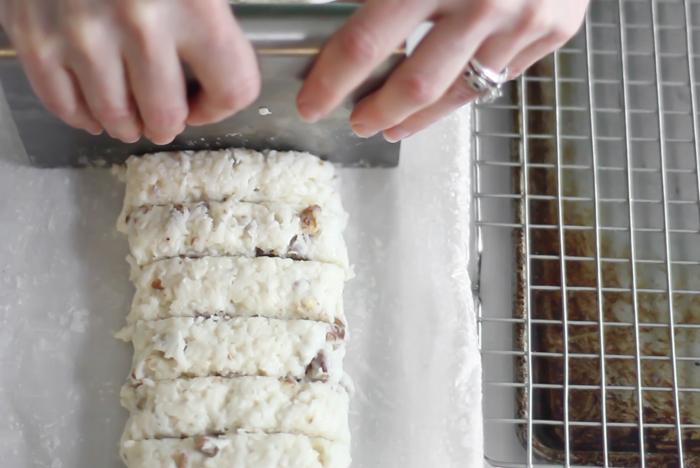 Note: In the instructional video I place the candy bars on a grid cooling rack over a baking sheet. This works well for catching excess/run-off chocolate, but after the candy bars set they are difficult to remove from the rack. I suggest placing dipped candy on waxed paper – they peel right off! 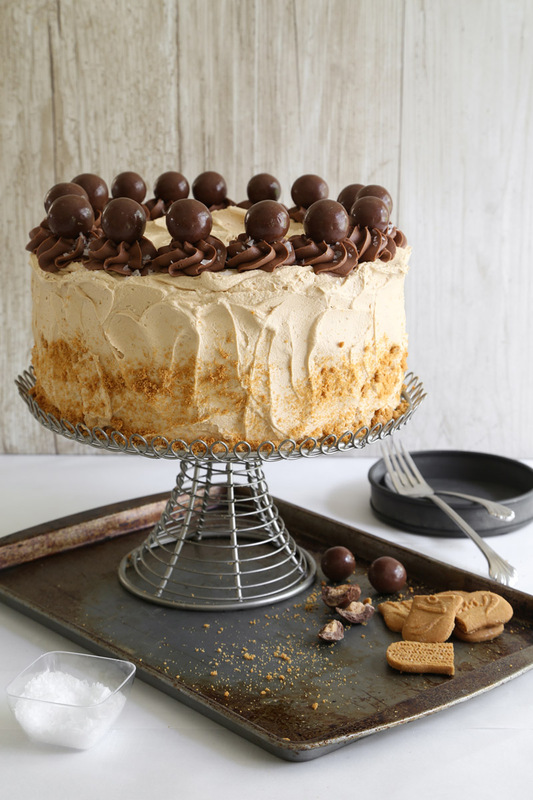 This cake was inspired by a cookie! Have you ever tried Lemon Meltaways? I suspect many of you have since it's a familiar sight on holiday cookie trays (though I love making them in spring and summer). For those unfamiliar, they are powdered sugar-coated cookies with a huge lemony kick! 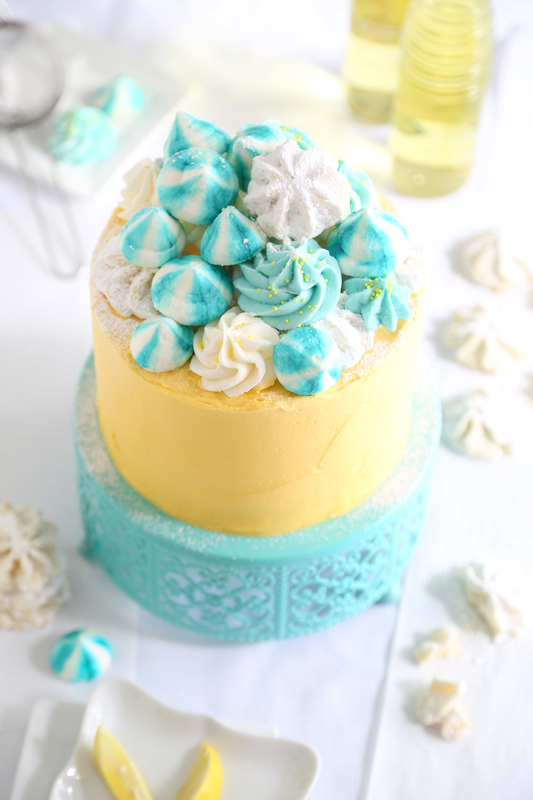 When I first tasted this cake, I found the burst of lemon flavor so similar to those cookies that I immediately dubbed this confection "Lemon Meltaway Cake". It's a fitting moniker in more than one way, too. 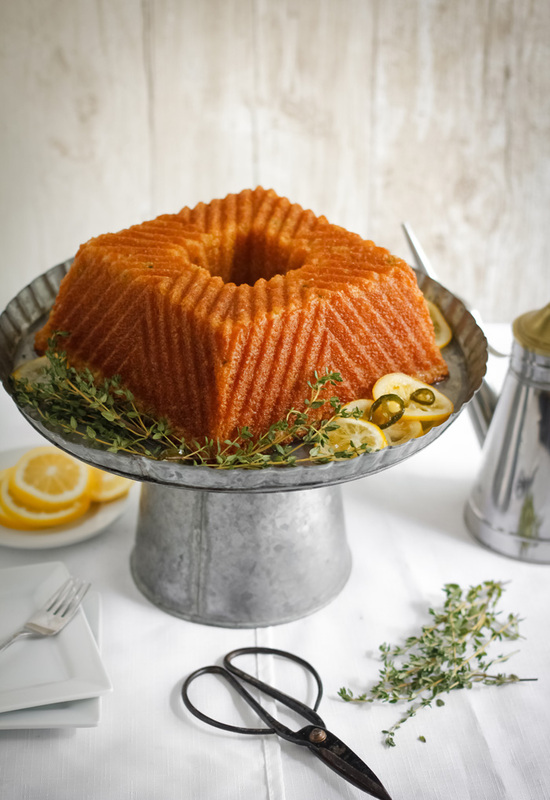 The cake layers are drenched in lemon glaze that makes the texture melt-in-your-mouth tender. I've been working in the kitchen a lot this week. Mostly because it's been raining in biblical proportions and even when the wet weather breaks long enough to step outside, the humidity is smothering. Needless to say, I've been staying indoors and spending all my time monkeying around in the kitchen. 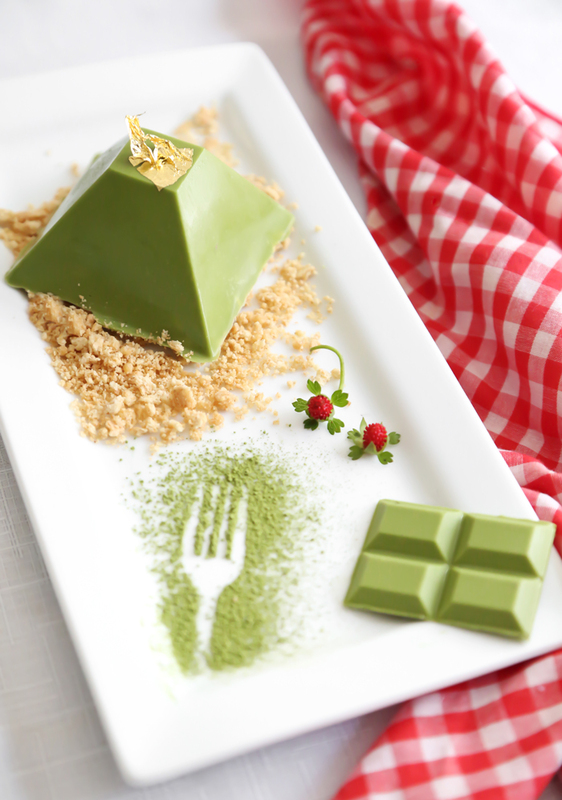 Experimenting with matcha tea in desserts is one of my all-time favorite pastimes. 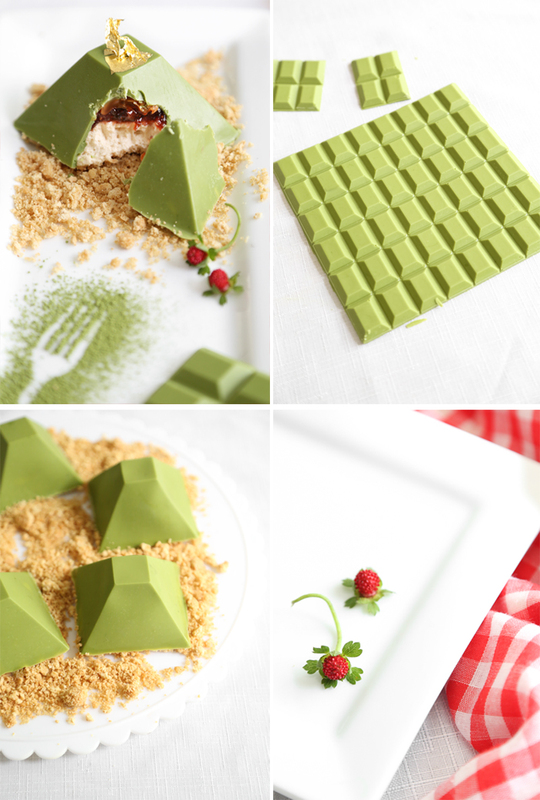 Recently, one of my attempts resulted in matcha candy coating. I am especially excited about this development because I am a HUGE fan of matcha tea Kitkats. Mark my words, a homemade version is on the horizon! I don't have a new recipe for you today but I do have some really neat cake decorating techniques for those who avoid the piping bag altogether. If this sounds like you, then check out this article I wrote for BettyCrocker.com. It's so easy, even the kiddos can help! 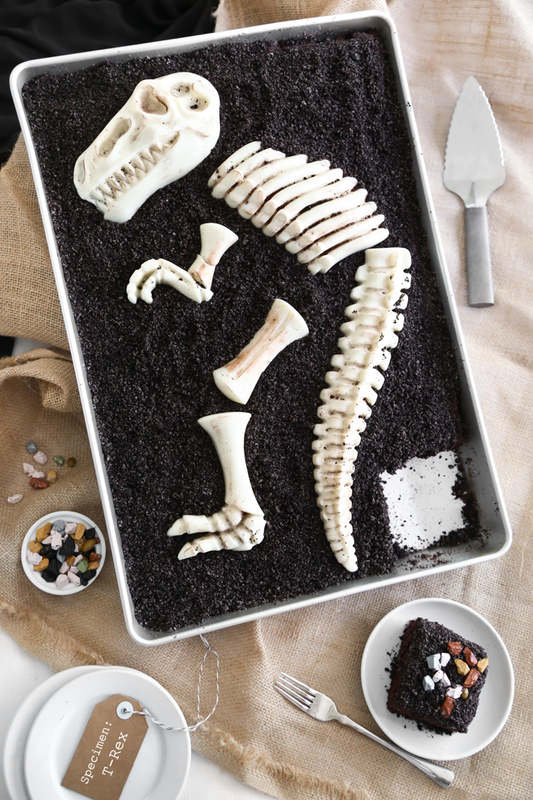 I've had the idea for this cake since last summer when I was perusing a craft store and found sand molds shaped like dinosaur bones. I immediately knew their purpose, and after I checked the tag for a non-toxic label (yes!) I added it to my basket. I'm not sure why it's taken so long for my idea to come to fruition, but with Jurassic World's summer blockbuster status, I figure there's no better time than the present. 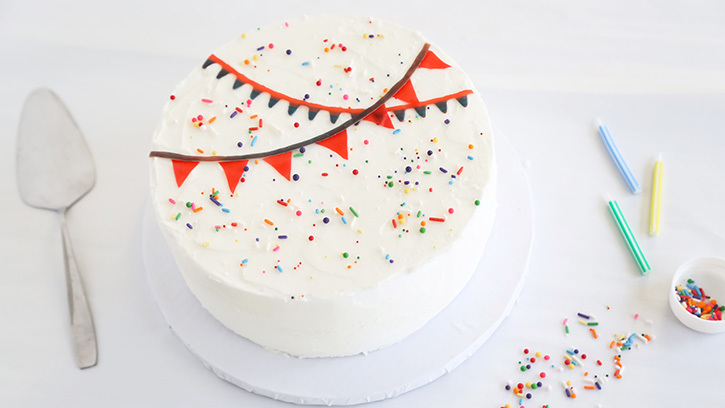 Note to busy parents: this is some of the easiest cake decorating you will do. And, more good news! There are many food-safe dinosaur bone molds available now, aside from this similar (if not identical) sand mold I used. I love these because they are smaller and you could fit more than one type of dinosaur on the cake. I was surprised to find Root Beer Concentrate at my local grocery store in the baking aisle (with the spices and extracts - insta-buy!) and marshmallows seemed just the thing to make with it. Swedish pearl sugar makes the best topping for the mallows because it gives them extra sweetness and a little sugar crunch. 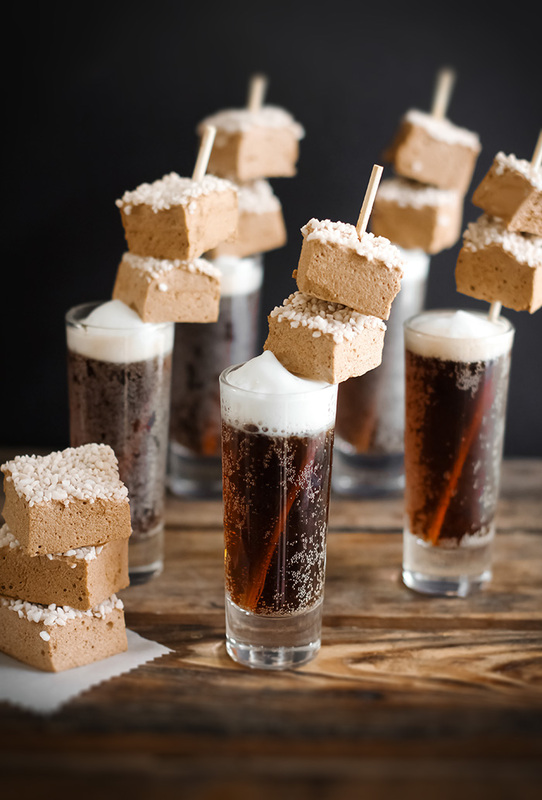 My taste-testers remarked that the mallows tasted "fizzy" although no carbonation was added. I think that sensation can be attributed to the airy texture of the marshmallow. When I was first married and living in Nashville, I planted an elaborate flower garden in our front yard. I'd never really maintained a garden before, and didn't know the first thing about what went into tending such a thing. I suppose I was trying to emulate the fantastic beauty that my mother displayed on her land. My first efforts were successful and the garden flourished. The neighbors commented on how beautiful my garden was (and I appreciated that) but as months progressed I felt bound to it. The watering, grooming, weeding, - it was constant. I worried about looming frosts in spring and summer drought. When we moved into a new house, I decided to be content with the low-maintenance boxwoods and holly that came with the property. Looking back, that first garden taught me a lot about myself; mostly that I am a wildflower kind of gal. 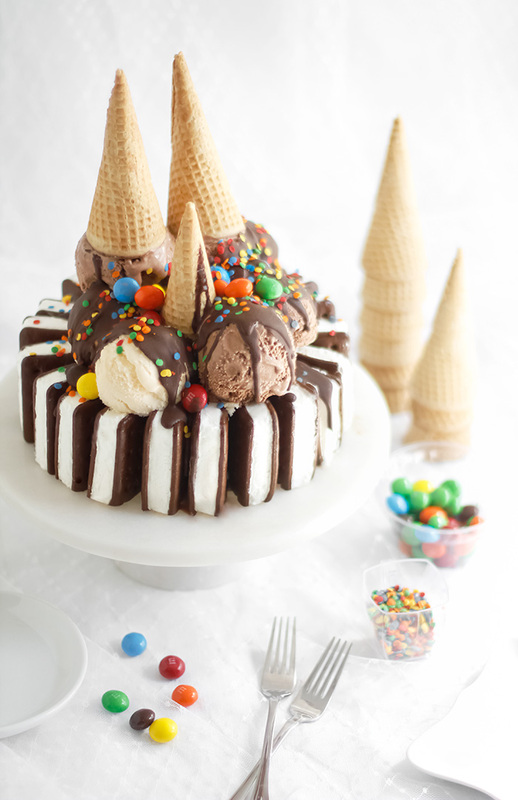 This may be the easiest ice cream cake you will ever make! 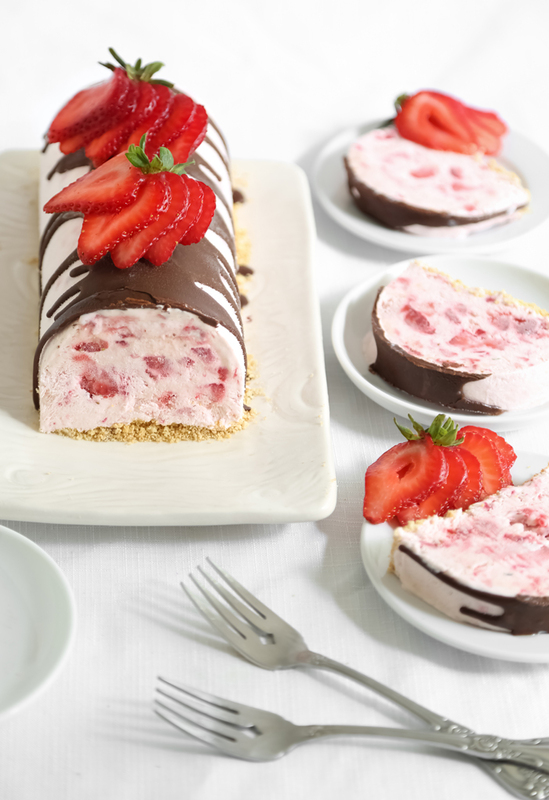 It takes just four ingredients: ice cream, ice cream sandwiches, sugar cones and chocolate ice cream topping - all other garnishes are open to interpretation. I opted for a dash of confetti sprinkles and peanut butter M&M's, but really you can't go wrong with your favorite candy bars or cookies on top. 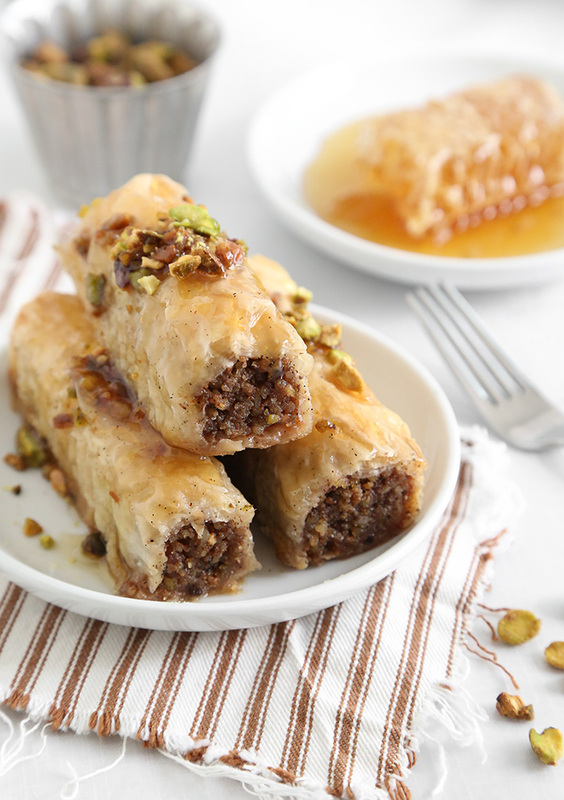 Yes, the Baklava obsession continues! I made these for a friend's 30th birthday, and I just love how they turned out (luckily, he did too!). I'd researched several Baklava "rolls" recipes prior to making these, but none of the fillings really spoke to me. I ended up improvising and adapting the filling recipe from my Baklava Pull-Apart Bread. It has just the right amount of lemon zest and spice, and a little moisture added to the mix makes the ground nuts clump together. This makes it easier to roll them up into Filo cigars.